If you open a map of northern Scotland at random and study the markings of ancient sites, it won’t be long before you come across the word ‘broch’, reproduced in Gothic lettering that leaves you in no doubt of its antiquity. This is a word that I hadn’t even heard of before I moved to Scotland, but it’s one that never ceases to intrigue me because it comes down to us from a culture that is irretrievably lost. Originally resembling cooling towers in profile, brochs are concentrated in western and northern Scotland, with just a few examples in the Borders and Dumfries-shire. They are believed to have been built roughly between 100 BC and 100 AD, although new evidence indicates that some started life centuries earlier; and they are linked with the Picts – the enigmatic people who bequeathed to us a host of symbols carved on stones at Aberlemno and elsewhere while neglecting, perhaps through absent-mindedness or a far-sighted sense of humour, to leave us the key. What do we know about the Picts? Is this a snapshot from the Battle of Dunnichen? It is true that Picts seem to have just disappeared from the face of history, either eradicated by the Vikings or assimilated into Gaelic culture. We know that they worshipped pagan gods, and that St Columba travelled all the way to the fortress of King Bridei on Loch Ness where he made an unsuccessful attempt to convert the Pictish king to Christianity. But the gradual seep of Christianity into Pictish culture won through in the end, and some of the stones that depicted other-worldly animals and shapes were revisited by stonemasons who added Christian crosses on the other side. We even know that the Picts won a glorious victory at the Battle of Dunnichen against the Anglian king Ecgfrith, in 685 AD. 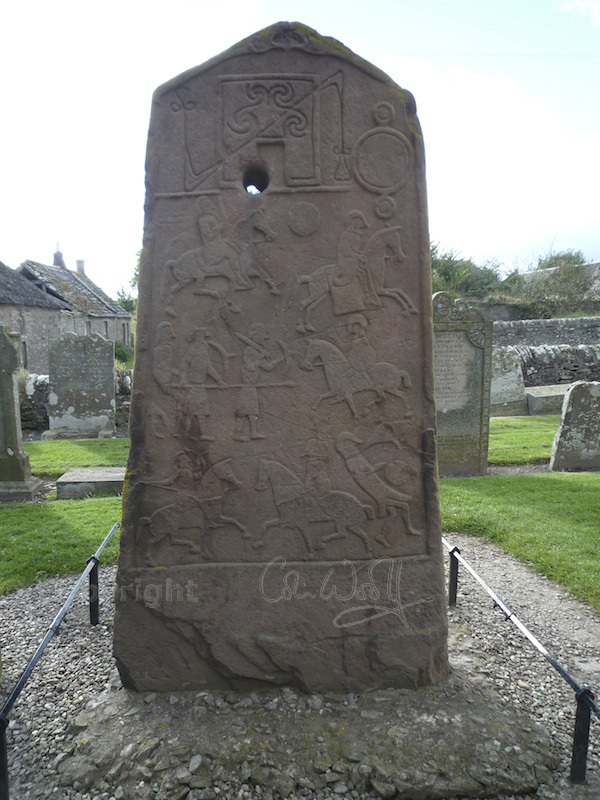 It’s believed that this is the battle illustrated on a stone in Aberlemno churchyard. There’s only one small problem: historians still can’t really agree on where the battle site is. For their homes the Pictish people built crannogs, those man-made island dwellings that are so beautiful in their simplicity; but for defence, and in places where wood was scarce, they built brochs. 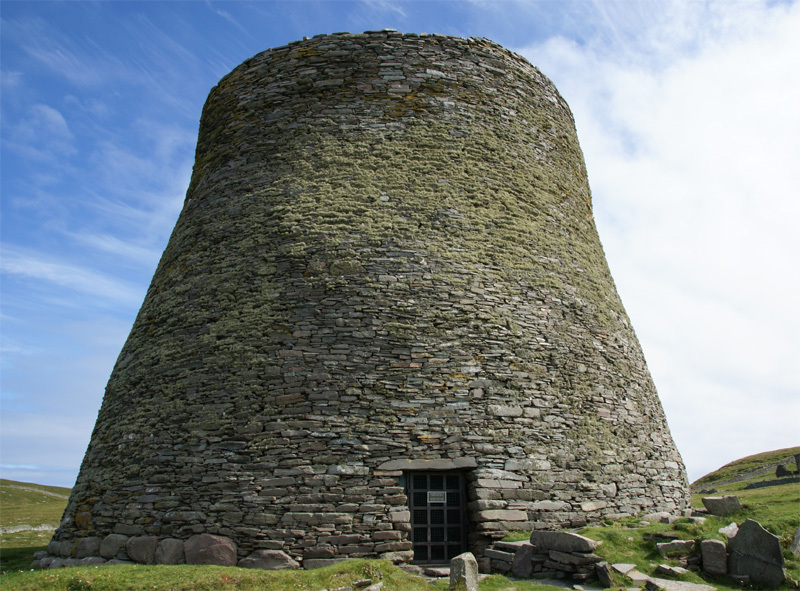 Up to 40 feet high and ranging in internal diameter from 16 to 50 feet, brochs were built to last. Their secret lies in double-skinned walls, in other words two concentric walls of stone tied together at intervals with linking slabs. These walls were up to 10 feet in thickness, and in the cavity between them was a spiral stairway. 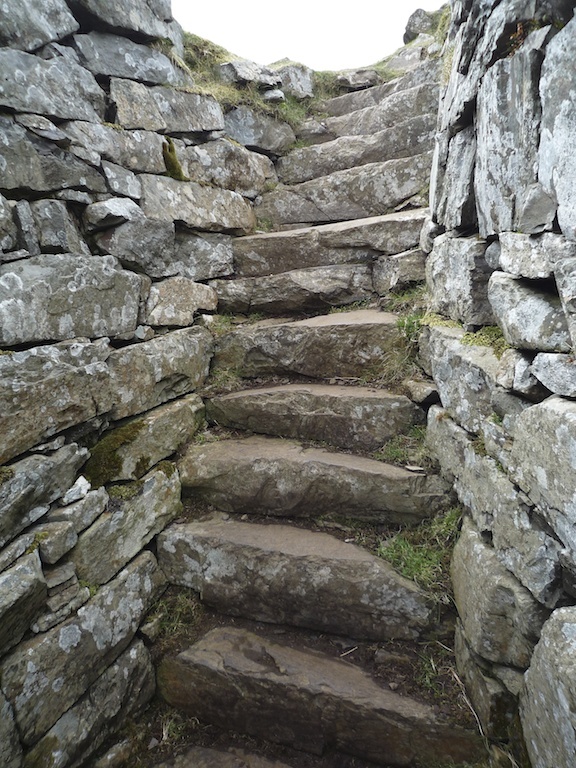 Since some brochs bear evidence of supporting ledges for upper storeys, these stairs may have led from one floor to the next. It’s possible that a central fire allowed warmth to rise up through the partly open floors, its smoke gathering in the roof and possibly dispersing through small holes. 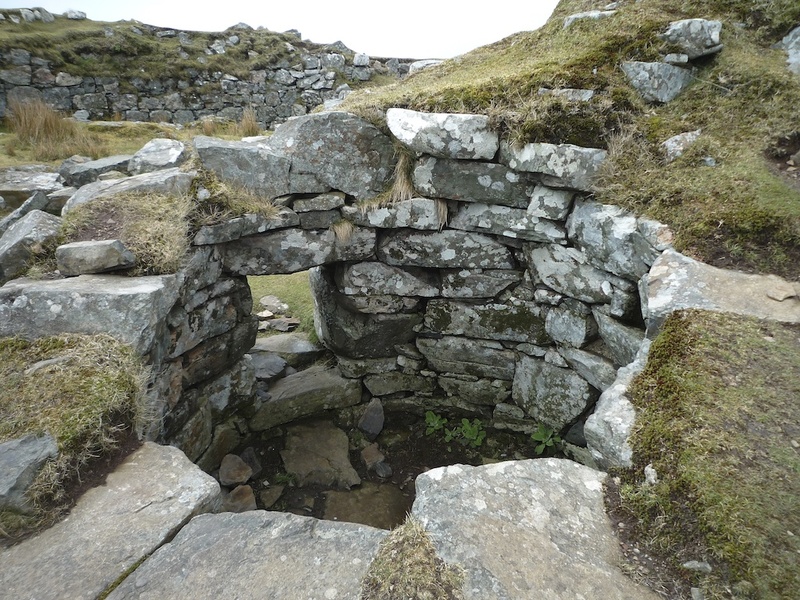 Some were thatched, although the broch at Dun Carloway had a capstone for a roof; and most of them seem to have had a guard chamber just inside the entrance, which could be sealed with big stones in times of attack. It’s important to say that this is all conjecture, and we know just as little about the real purpose of brochs as we do about the general appearance and disappearance of the Picts themselves. Even if they’d been deliberately trying to hit on a relic to leave for future generations to scratch their heads over, they really could have done no better. 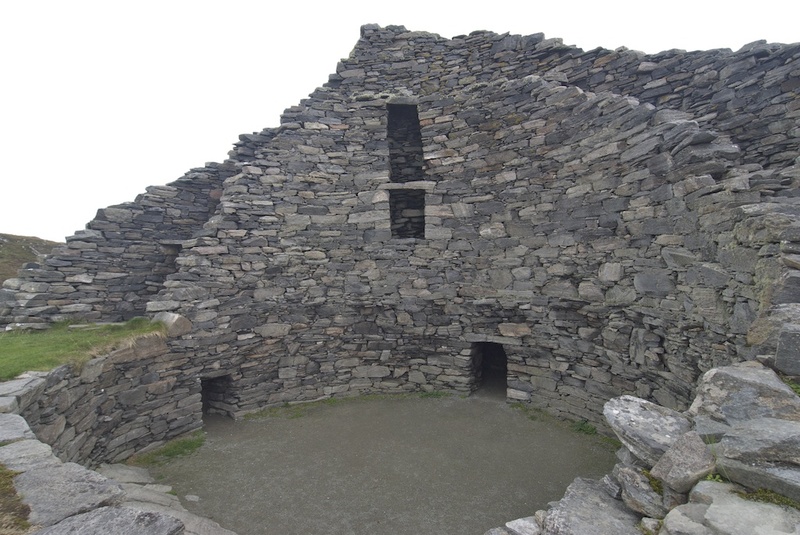 As far as historians can tell, brochs appear to be unique to Scotland. I’ve visited several examples: Dun Carloway on the Isle of Lewis; Dun Beag on the Isle of Skye; and Tirefour Castle on the Isle of Lismore, as well as Dun Telve and Dun Troddan at Glenelg. At Dun Beag, Dun Carloway and Glenelg the stairs between the walls are still visible, and the sheer dominating strength of the place still strikes you, even after two thousand years. 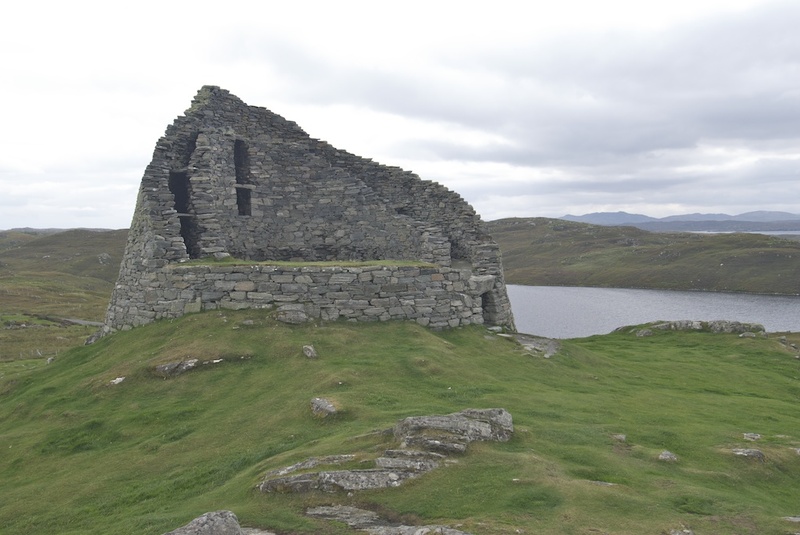 The most intact example is Mousa Broch in Shetland, which stands over 43 feet tall. It’s one of my ambitions to see this! 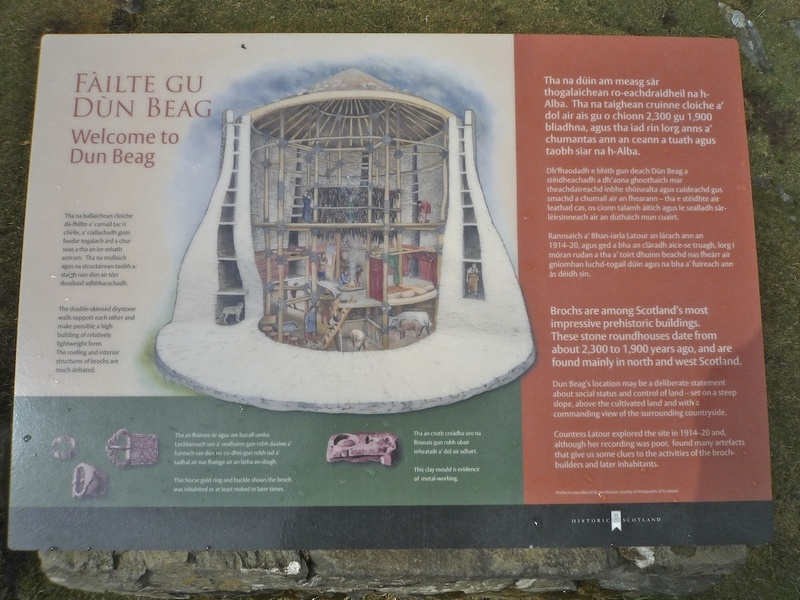 Whatever the true purpose of brochs – and it is possible that they had more than one – the sense of security inside, whether you were being assailed by an Atlantic gale or a hostile tribe, must have been reassuring. After all, you can’t set fire to stone… so just how do you get the occupants out, if you’re an attacking force? The only option would have been to light a fire and smoke them out, but on a rainy, boggy moorland that’s easier said than done. 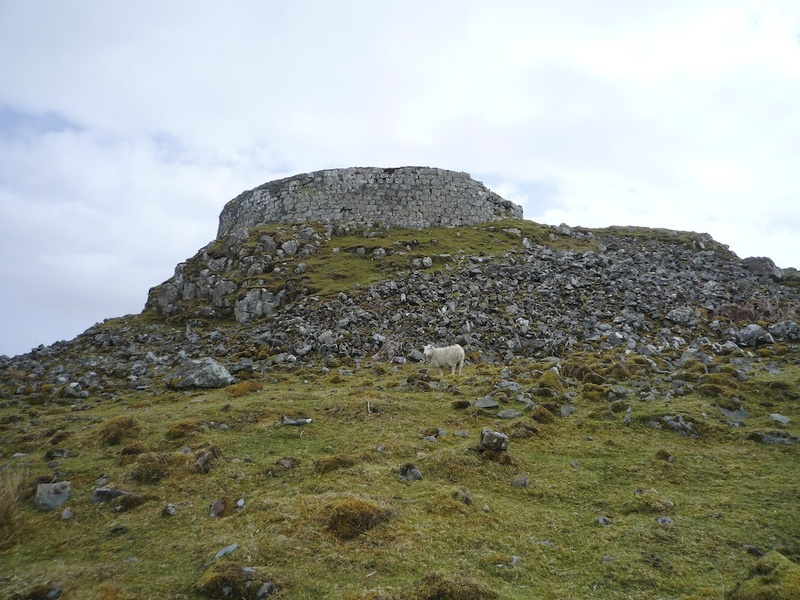 Many centuries after the Picts had gone, some brochs continued to be occupied. It’s easy to see why: these were formidable structures, designed to withstand the test of time. The Royal Commission on the Ancient & Historical Monuments of Scotland considers that Dun Beag on Skye was used until “comparatively recently”. Archaeological finds indicate a Norse presence, and coins have been found from the reign of James IV of Scotland (late 1400s) and English kings up to George III (late 1700s). That is a legacy that the Picts probably didn’t foresee, but if they left us no clues to their beliefs and mindset they certainly gave many successive generations a roof over their heads, and a good thick barrier against the Atlantic gales. As usual, a fascinating and well-written article, with excellent photographs. On the Battle of Dunnichen, it is not the location of Dunnichen itself that is problematic (the village exists), but the site of the battle. Most authorities seem to favour the East Mains fields, but not all. The topography there certainly does not seem to match Bede’s description of the battle. Thank you very much, Colin, and that’s a good point – I have replaced ‘Dunnichen’ with ‘battle site’, so as not to be misleading. I believe there are some historians who now suspect the battle took place somewhere around Dunachton on Loch Insh, where the surrounding mountains are a better fit for contemporary descriptions, but, as you say, most sources still favour the Angus site. I remember going to Dun Carloway when I was a kid and thinking it was amazing. One day I will make it to Mousa – but it is quite a trek! Wow! Great photos. These places are wondrous and mysterious. It makes you want to go back in time to see the people and what they did there. Thank you, Susan! 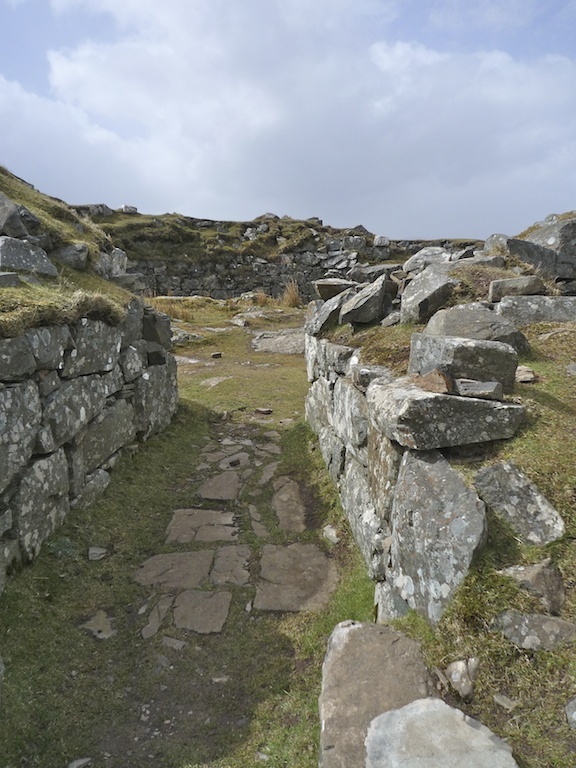 I feel just the same way about brochs – there is something so different about them, so unlike any modern houses, that you want to see exactly how they were used! As always you stir the imagination when you write about the very roots of Scotland. They travel deep into the earth and into the past, bringing a richness to everything that my shallow-rooted country severely lacks. I’m with Susan Abernethy: I’d love to go back in time to see the people and what they did in their daily lives. Outstanding post as always, Jo. Thank you very much! There’s something about these places that really does stir the imagination, and you can almost feel the history because it’s all around you. And I particularly love places like these, because there is so much that we’ll never know. 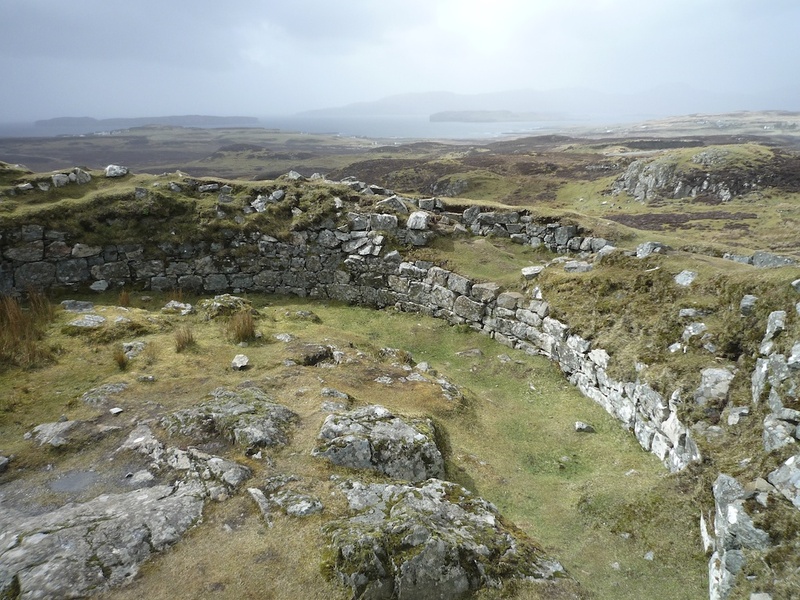 Years ago, we used to rent a cottage close to the shore near Stoer, Assynt, and walking along the edge of the beach, you’d come upon the remains of a broch – very dilapidated, but still recognisably round. It’s impossible not to be intrigued by them. That sounds lovely, Anny – I’d like to explore Assynt because it is such a wild and remote place and there are lots of amazing ruined castles! 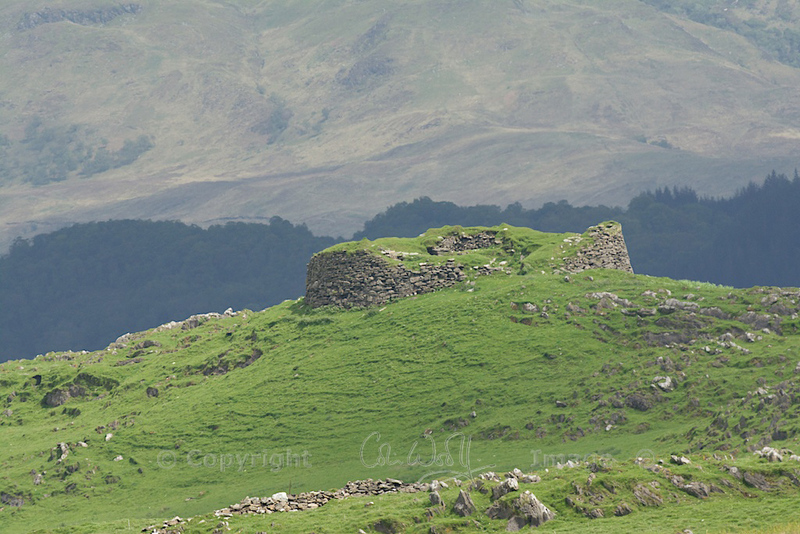 Brochs are usually set in such magnificent positions as well, high on a hillside or promontory. You can’t help but be mesmerised by them! How mysterious- too bad we don’t know more about the Picts. Imagine the lore they had, stretching back to hunter gatherer days! I know – it’s something we’ve lost. Their carvings are what intrigue me the most. I sometimes sit and just gaze at the symbols and wish some wisdom would come to me from long ago, like a flash of inspiration!